UPDATE 2:25pm: Mr Ball has been located safe and well. 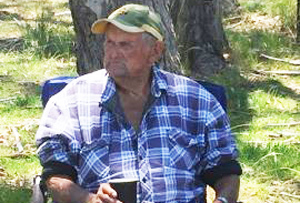 Police are searching for an elderly man missing from Kingaroy. David Ball, 89, was last seen driving his brown 2011 Nissan X-Trail (Qld rego 777-XZI) along Old Taabinga Road about 5:00pm on Sunday. Mr Ball does not have his wallet or access to a mobile phone. Family and police are concerned for his welfare as he has a condition which requires medication and he may become disoriented at times. Mr Ball is described as Caucasian in appearance, 187cm tall with a proportionate build with grey hair and brown eyes. He was wearing an old navy-blue polo shirt with stripes, blue nylon shorts and brown riding boots. Anyone who may have seen Mr Ball or knows of his whereabouts is urged to contact Kingaroy Police on (07) 4160-4900.